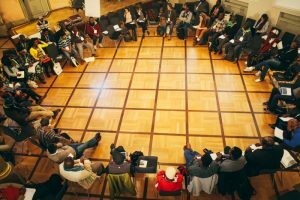 Peasants and other people working in rural areas, civil society organisations and academics from all over the world gathered from 7-10 March 2017 for the Global Peasants’ Rights Congress in Schwäbisch Hall, Germany. The conference kicked off with an international delegation of women performing a ‘mystica’ to honour International Women’s Day. Peasant organisation Serikat Petani Indonesia initiated the bottom-up process for a Peasants’ Rights Declaration in 2001, under the leadership of Henry Saragih. After much effort, international unity and coordination, the process has now arrived at a crucial point. In May 2017 the UN open-ended intergovernmental working group will meet for the fourth time to work and find consensus on a final version of the declaration. 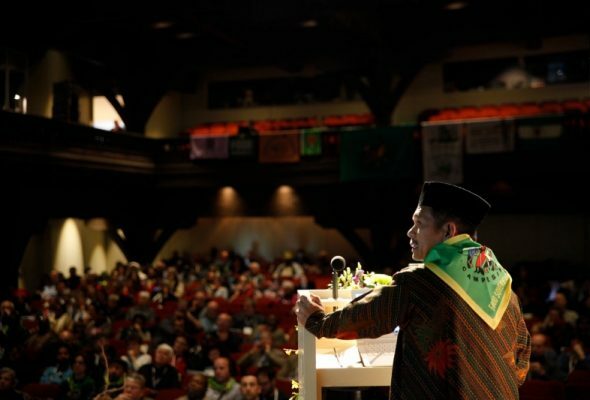 The crucial importance to uphold the rights of peasants, fishers, rural workers, migrant workers, shepherds, beekeepers, indigenous peoples and other people working in rural areas was highlighted in a wide array of testimonies and richly diverse presentations and working groups of the Peasants’ Rights Congress. On the second day the participants discussed which peasants’ rights are violated and how they can be protected by a UN Declaration on the Rights of Peasants and other People Working in Rural Areas. In five working groups they addressed the challenges regarding seeds, access to land, a proper income, biodiversity, repression and criminalization of peasants. Peasant representatives, academics, legal experts, activists and political representatives took turns covering the multifaceted stakes of obtaining a Peasants’ Rights Declaration in the United Nations: food, economic and environmental well-being. The agricultural model promoted by dominant State policies benefiting corporate interests must be countered by empowering rural communities and supporting an agricultural model based on food sovereignty and agroecology. Three days of rich exchanges at the congress set the pace for the much needed global collective effort ahead of the May session of the UN open-ended intergovernmental working group, which will try to finalize the Peasants’ Rights Declaration. 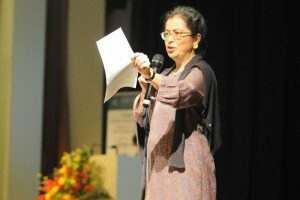 The congress was wrapped up by the presentation of a draft manifesto on the need for a declaration, enhanced with comments and suggestions from the audience. The text – of which the final version is expected in the coming days – highlights, among others, the need for German and European governments to support this historic process, as well as the harm created to peasants by the EU’s current Common Agricultural Policy. Globalize the struggle! Globalize hope! Read more about the Global Peasant’s Rights Congress.